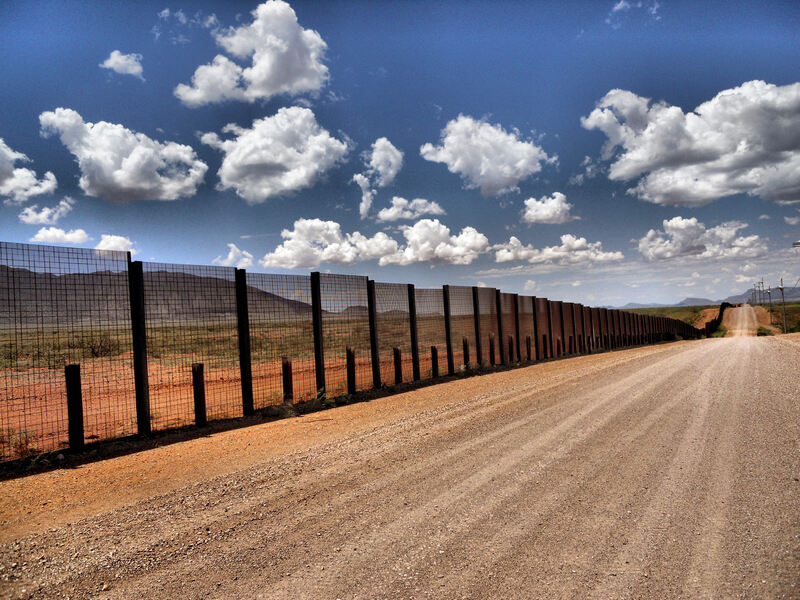 In March of 2012, Secretary of Homeland Security Janet Napolitano infamously assured the nation that our border is “more secure than it was ever been.” This, coming from a former governor who during her time as Arizona’s leader used to invoice the federal government (then, the Bush administration) for the cost that the state had to bear as a result of illegal immigration. Apparently when one is in Washington long enough, problems of the real world mysteriously disappear. 2,251 miles away in Bisbee, Arizona, Sheriff Larry Dever and his deputies deal with the inaction of the Department of Homeland Security on a daily basis. Dever has been in law enforcement for over thirty years, and is currently running unopposed in a race to extend his sixteen year stint as his Cochise County’s top officer. He is also part of an ongoing effort to better educate those unaware of the raw reality of the southern border. Dever graciously granted me the interview that led to that first piece, but in an effort paint an even clearer picture, Dever agreed to take my husband and I to the infamous Arizona-Mexico to see it all first hand. Quite literally, we’d be going STRAIGHT to the SOURCE. 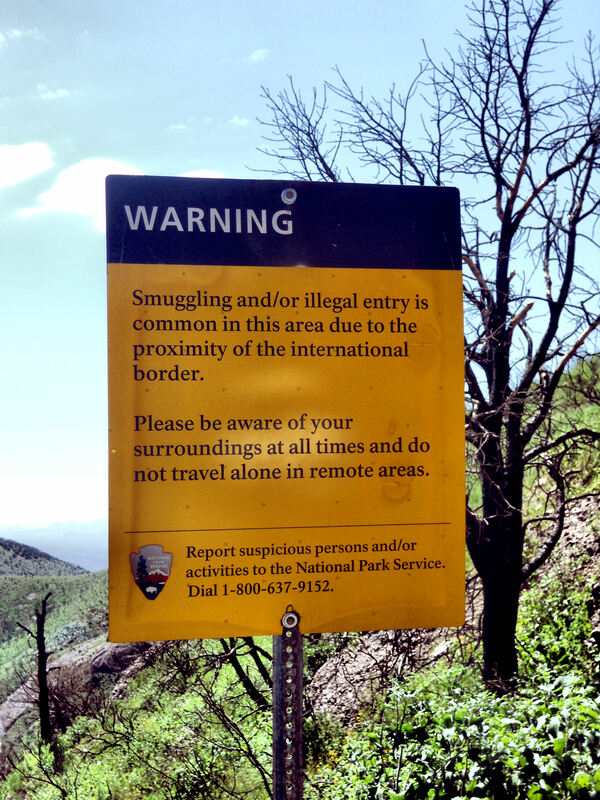 Cochise County is a front-row witness to an onslaught of illegal crossover that began in the late 1990s as a result of two border control operations based in El Paso, Texas and San Diego, California. “Operation Hold the Line” and “Operation Gatekeeper,” respectively, were wildly successful in those sectors, but as Dever has observed, it unintentionally resulted in diverting crossovers into Arizona. 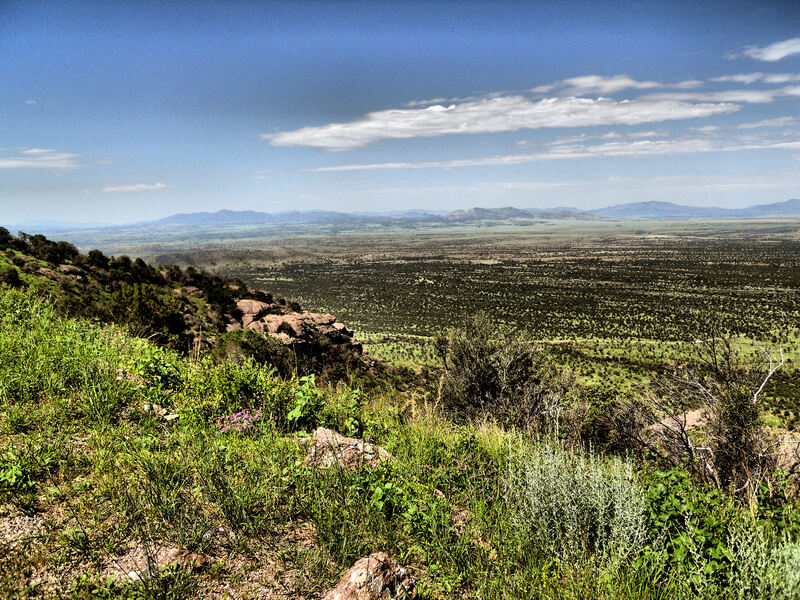 The Tucson sector, which contains major roadways leading to Interstate 10, has attracted the most crossings due to its facilitation of easy dispersal of humans and drugs. “Half of the illegal aliens who are caught trying to come into this country are caught in this little corridor down here,” said Dever. While peak years were 1999 and 2000, Dever reports that a reduction in those numbers isn’t because the border is any safer. “Many of those coming in years past were coming on their own,” remarked Dever, “today 99% of crossings are coordinated with the coyotes. (Coyotes are Mexican nationals who specialize in smuggling humans and materials across the border in exchange for money, drugs or other payment.) They’ve figured out that they can make even more money by charging those who want to cross with a fee.” Mexicans seeking to cross the border are charged a few thousand dollars, while OTMs (Other Than Mexicans) are charged substantially more. “Either of you afraid of heights?” he asked us, as we went over the map in his office before heading out. 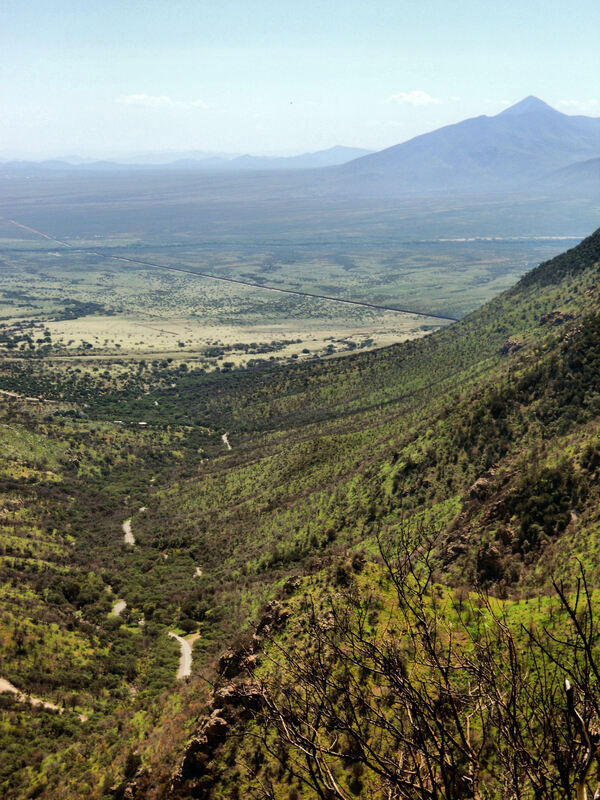 We answered in the negative, and soon found ourselves driving up a single lane gravel road towards the top of Coronado National Monument, where the border is visible for miles. Dever commented that fires had recently affected the area. “Here we’ve documented that there are several border-related causes for the fires,” he remarked. “There are intentional fires; that is, fires set to distract law enforcement to facilitate a crossing or a getaway; warming fires started during travel; and finally cigarette induced fires.” The latest one destroyed 52 homes and 5 businesses in the area. That day, more than the usual one or two trucks were patrolling the area along the fence. There had been a crossing attempt just a few hours prior, and alert was higher. 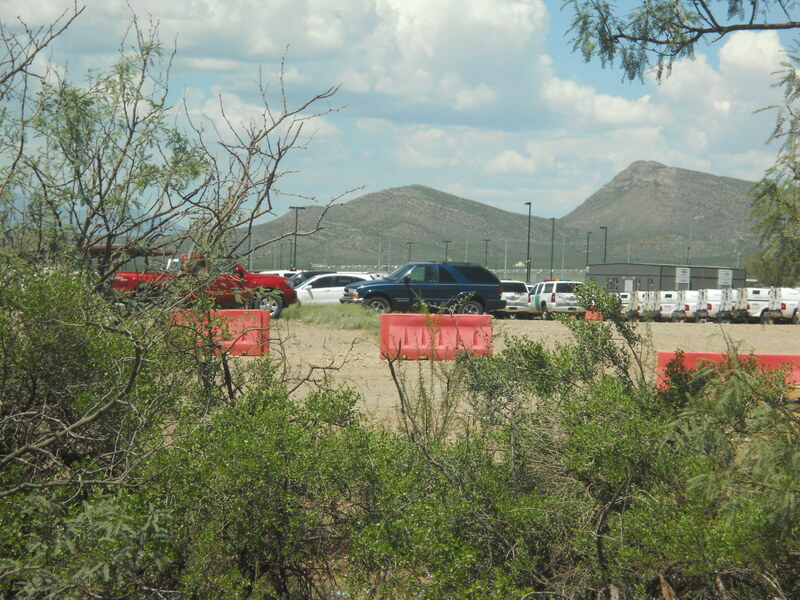 Despite this, however, the Border Patrol station at Naco, Arizona seemed unusually calm, with a parking lot full of patrol trucks sitting unoccupied despite the vulnerability of the fence at the moment. 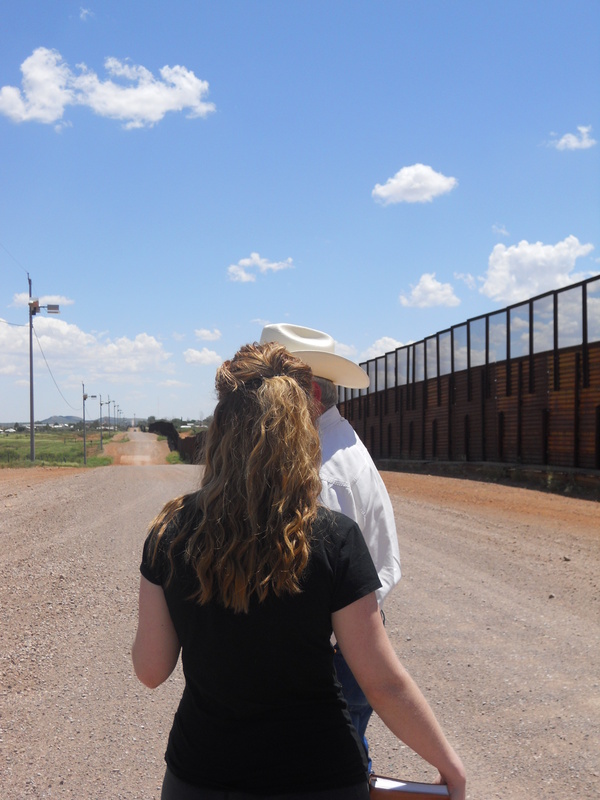 Upon arrival in the tiny border town of Naco, the sheriff remarked that within minutes, Janet Napolitano and the Department of Homeland Security would know that he and his guests were there. “I know for a fact that these agents have specific orders to contact Napolitano’s office whenever I bring anybody down here,” he said. He went on to say that within moments, the whole town would know he was there, because the scouts watching on both sides of the border would make swift note of his presence. These scouts are equipped with powerful telescopes and sophisticated communication technology. Dever said Border Patrol knows that they are there, but won’t root them out. Attempts have become even bolder because of these scouts, which facilitate crossings even in broad daylight. 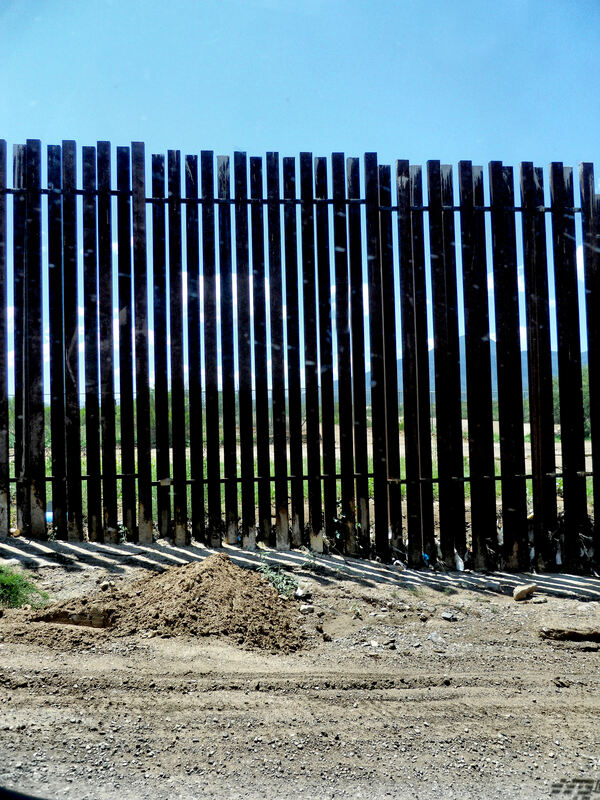 Dever was once asked by Fox News’ Bill O’Reilly why we “just don’t build a fence and be done with it.” Dever remarked that the solution to the problem isn’t found in the fence alone, but rather the guardianship of it. “The Great Wall of China only worked as well as it did because it was well-guarded with outposts and consistent communication,” Dever said, something he believes to be severely lacking here. This, of course, not due to the brave men and women who volunteer to serve at our border, but rather as a result of the Department of Homeland Security’s refusal to act.